D e f i n e U s: Yo Gabba Gabba !! Yo Gabba Gabba! is a fun live-action program for young children ages 1 and up. It is an American children's television show which created by Christian Jacobs (lead singer of the Aquabats) and Scott Schultz and produced by The Magic Store Productions and W!LDBRAIN. Among the varied animation sequences during the show is Super Martian Robot Girl, designed by indie cartoonists Evan Dorkin and Sarah Dyer. The toy models of the characters that appear at the beginning and end of each show were made by Kidrobot. 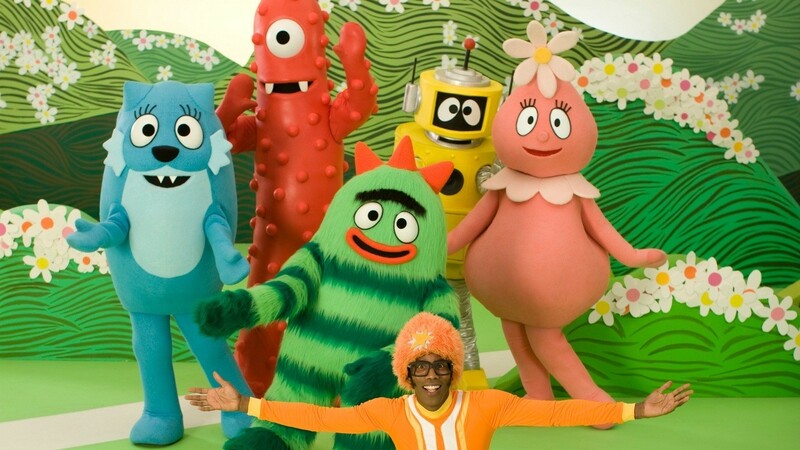 Unlike most children’s shows, Yo Gabba Gabba was not developed by network executives. Instead the show was developed by two Southern California fathers with no previous experience writing for television let alone children’s broadcasting or education. They simply shared a mutual disappointment in kids’ television. They both wanted to design a kids' show that was entertaining while featuring real artists and real performers. The pair first started working together as teenagers, producing and directing skateboarding videos.After doing some odd jobs here and there, Jacobs and Schultz decided to try something different. In 1999, after becoming parents themselves, the pair started playing around with ideas for children television. They later produced a pilot independently financed by small loans from friends and family. Even after producing the pilots, Yo Gabba Gabba did not get much attention until it started circulating on the internet. It happened to get viewed by Jared Hess, the director of Napoleon Dynamite andNacho Libre, who then phoned Brown Johnson, the executive vice president and executive creative director of Nickelodeon Preschool and told her to check it out. As soon as she saw it she said, “Lordy, nothing else looks like this on TV”.Yo Gabba Gabba finally found its home on Nickelodeon on August 20, 2007. In its first two seasons, the show featured a wide variety of guests, including Jack Black, Leslie Hall, The Shins, The Aggrolites, Andy Samberg,Cornelius, Biz Markie, Shiny Toy Guns, Supernova, Mark Mothersbaugh, Rahzel, The Postmarks, Sugarland, Tony Hawk, The Roots, Low, Laila Ali, Elijah Wood, Mýa, The Salteens, Sean Kingston and series co-creator Jacobs' band, The Aquabats. In the second season guests included such bands as Enon, The Clientele, Datarock, Joy Zipper, Of Montreal, Chromeo, My Chemical Romance, Hot Hot Heat, Mates of State, MGMT, and The Ting Tings. 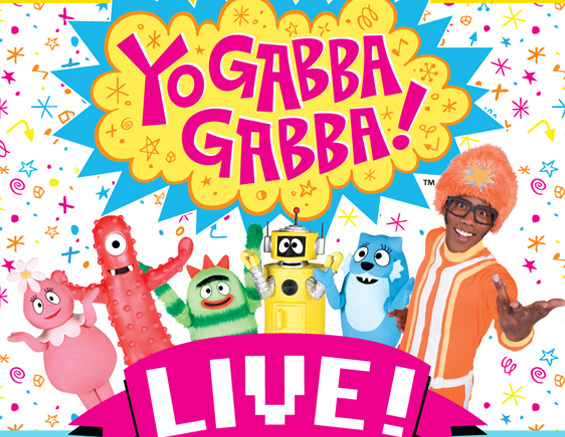 Here is an interview of Yo Gabba Gabba!!!! This is the current "A Very Awesome Christmas" from Yo Gabba Gabba show airs on last Sunday, How people can imagine My Chemical Romance will perform in the show for Christmas. This is a gift for all of you, Merry Christmas!